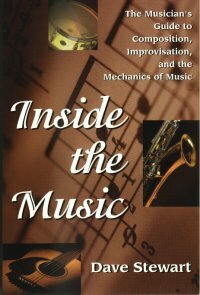  Dave Stewart's first book explains the basics of reading and writing music in a simple, unintimidating way. 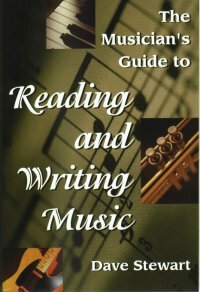 'The Musician's Guide to Reading & Writing Music' in the US) was updated and reprinted in 1992.
of music, with chapters on chord voicing, MIDI, harmony, composition and improvisation. Both books are available from Balafon Books in the UK, Rittor Music in Japan and Hal Leonard in the USA. Japanese language versions are available from Rittor Music Inc., 20 Sanbancho, Chiyoda-ku, Tokyo 102, Japan. Tel: (81) 3 5213 6292, Fax: (81) 3 5275 7840.